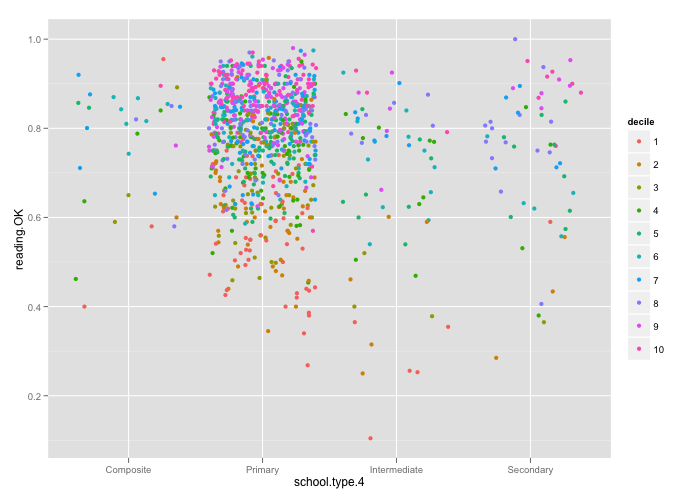 Representation of different schools types and deciles is uneven. Different participations in the sample for school types. This type is performance in mathematics. 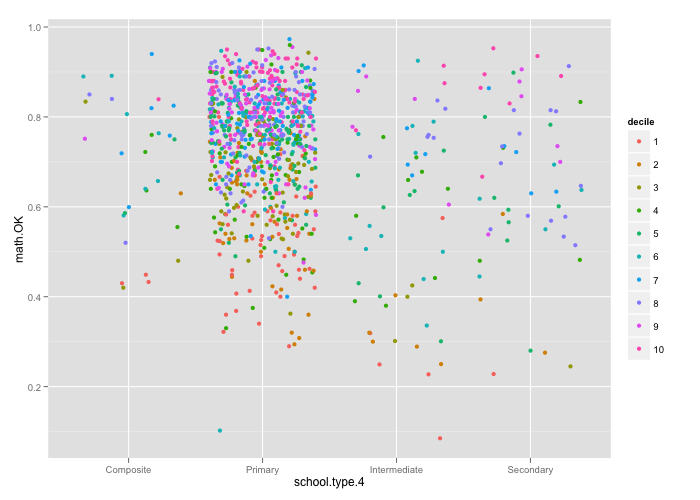 I’m using jittering rather than box and whisker plots to i- depict all the schools and ii- get an idea of the different participation of school types in the dataset. Sigh. Another caveat to add in the discussion.